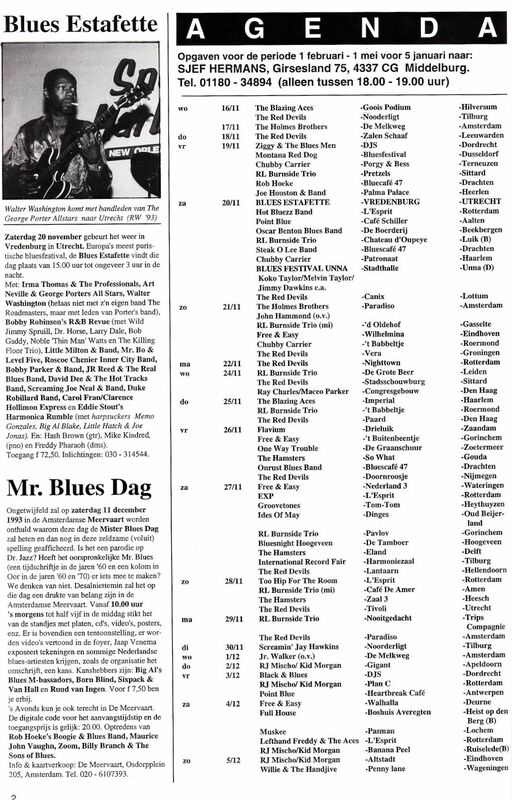 Our good friend Feelgood has sent us a number of magazine clippings that help fill in some of the dates on the Red Devils timeline. 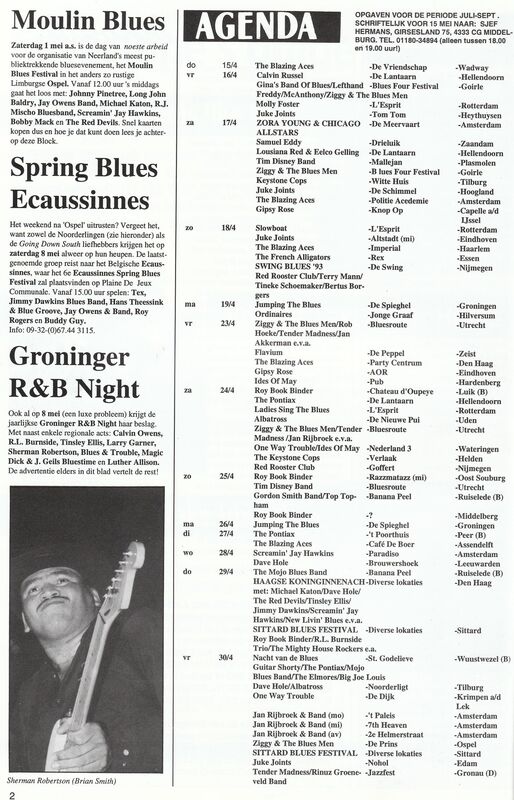 Much of these come from the Agenda section of Block, a blues magazine based in The Netherlands. 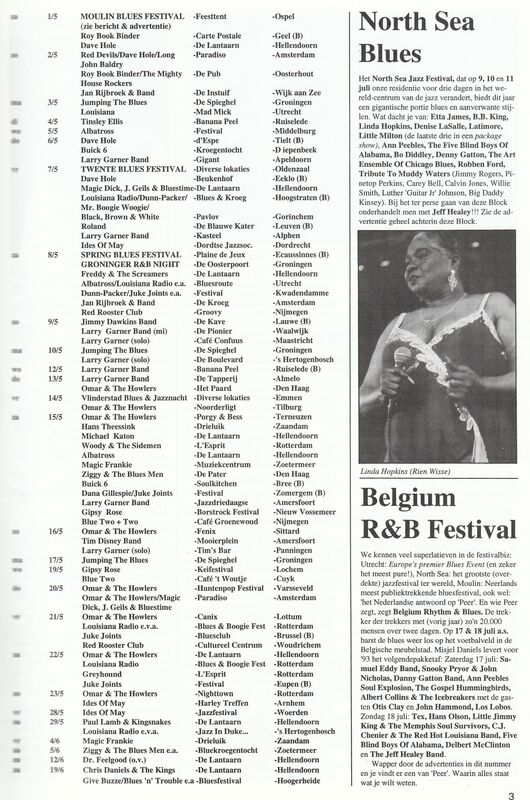 There are several clippings available, but we’ll start with 1993. The first two images are from the same edition of Block, though we don’t have publication dates for either magazine. This entry was posted on January 16, 2011 at 8:46 pm and is filed under red devils with tags block, feelgood, netherlands, red devils, timeline. You can follow any responses to this entry through the RSS 2.0 feed. You can leave a response, or trackback from your own site. J.J., I have send you on january 24th by e mail the publication dates for either magazine.